You are here: Home / For health professionals / How much milk does a newborn need at each breastfeed? 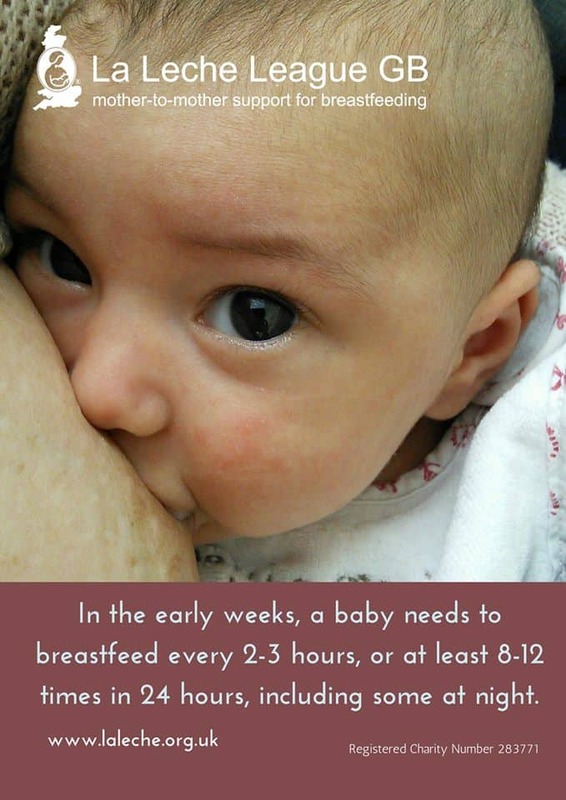 How much milk does a newborn need at each breastfeed? 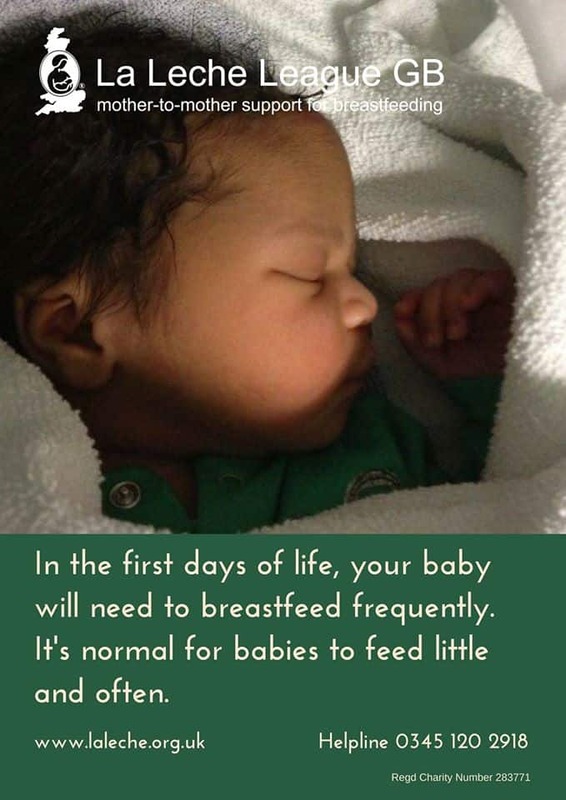 All babies need to be fed little and often in the early days. A baby needs to feed frequently, and may or may not offer feeding cues. Trying to visualise numbers can be a distraction, and we have taken the decision to stop using our milk volume posters because we were concerned they might lead people to look at numbers instead of the things they can observe. 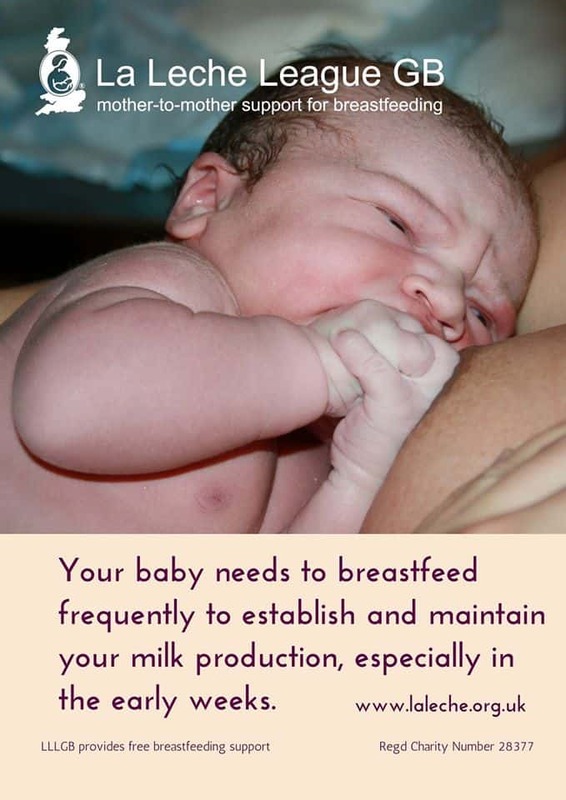 LLL seeks to give clear information on how to tell if your baby is getting enough milk. 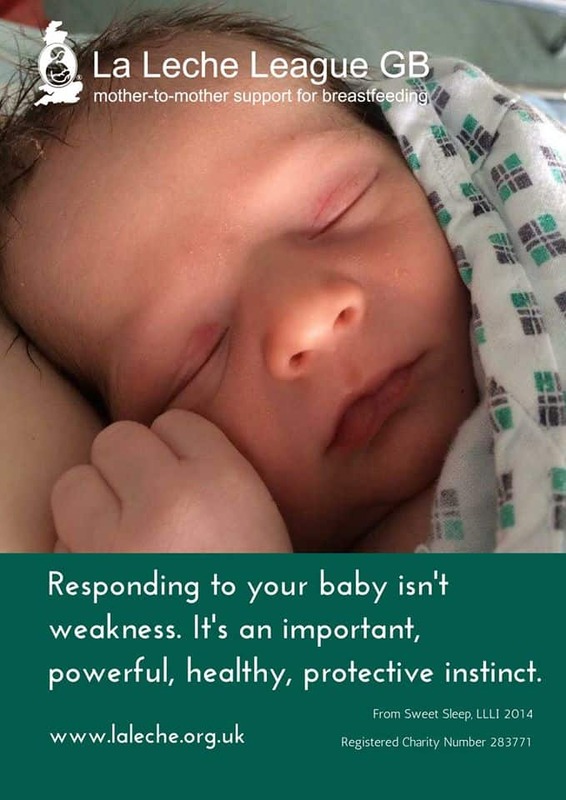 If you are concerned about your baby or s/he shows any of these signs, seek help with breastfeeding from your healthcare team and La Leche League. Find LLL support here or call our national helpline on 0345 1202918. This list is not exhaustive and we stress that you should consult your Doctor, Midwife, Health Visitor, or other healthcare provider if you have any concerns about the health of your baby. 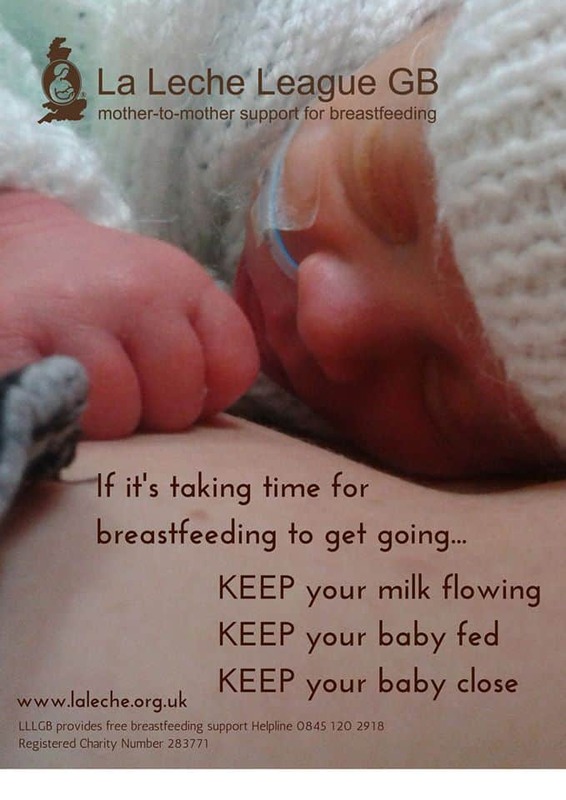 Breastfeeding support can continue alongside any necessary medical treatment. A La Leche League Leader (breastfeeding counsellor) can provide further information on breastfeeding management. Get LLL support here.